I quite love sessions with the beauty and haircare industry thought leaders. You know you are going to walk out of that session empowered with tricks of the trade and secrets that make you go, "Why didn't I think of that?". It's always enlightening to listen to experts converse about how a particular trend initiated on the global runways, would work in the region or how you could emulate Victoria Beckham's gorgeous choppier bob and still look glam despite not having her cheekbones. Haircare expert, TRESemme launched the #TRESMakeover campaign, showcased some beautiful hairstyles that can be easily replicated for occasions and invited me to be part of a session to witness a live makeover. 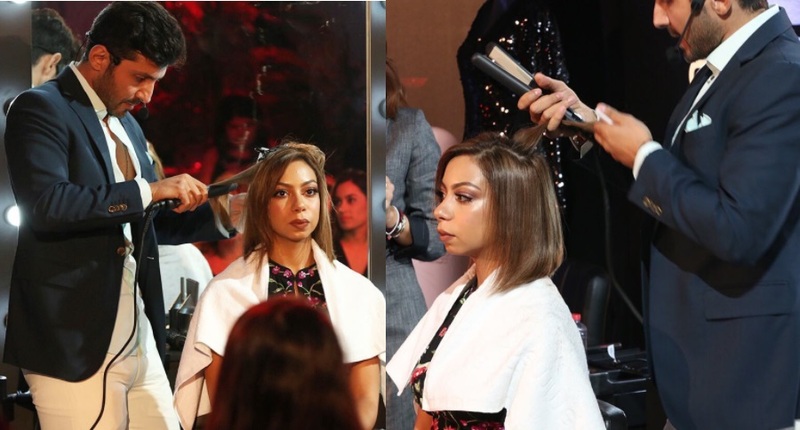 Hairstylist Georges El Mendelek, fashion designer Alanoud Badr and makeup artist Sarah Al Wadaani dished out some interesting tricks and trends. Have you ever used a hair mask and witnessed that it weighs down your hair? How about trying to put on false eyelashes? I have to raise my hand because I can't put on falsies. I just can't, no matter how much I try. Kudos to the girls who actually apply it in seconds! My hair mask weighs down my hair! At the session, Georges mentioned if you feel your hair weighs down after applying a nourishing mask, then it's probably because you are using too much of the product. Alternatively, you may be using the wrong product from the range. Yes, it's true. Get a consultation from the brand/ its expert to find out which product you should use leverage based on your hair type and any treatment you may have accustomed your hair to.The same applies to conditioners. My hair is Keratin treated. 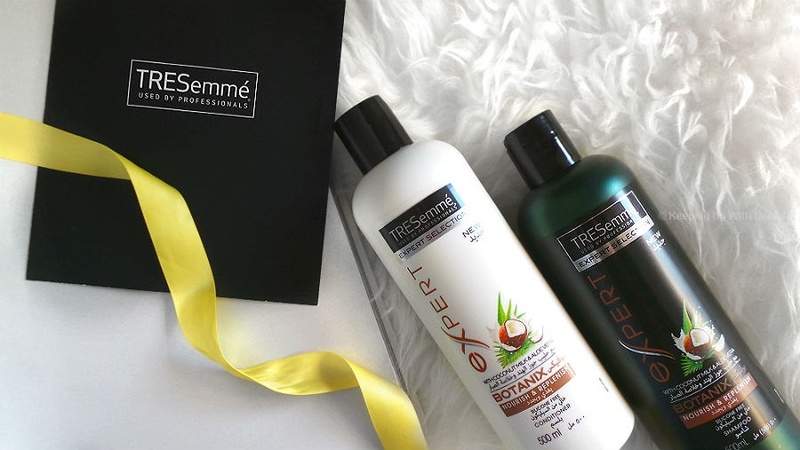 Is there anything within the TRESemme range I could use that is gentle enough on my hair? The Botanix range is void of nasties such as parabens, silicones and dyes, which means you could use it on hair that has been subjected to hair smoothing treatments. While the hairstylist was confident on this piece of advice, I'd still say you check with your hairdresser prior to use. Featured above is the Botanix shampoo and conditioner from the Nourish & Replenish range. It's a hair strengthening and smoothing blend of creamy coconut milk, coconut oil, aloe vera and has a pleasant fragrance (you get a whiff of white musk in there, it's divine!). The shampoo and conditioner definitely have a dominant coconut fragrance however, it isn't too overwhelming. My hair is not Keratin treated and I have used this thrice already. Love how the products tame frizz and give my hair that beach & coconuts fragrance. I quite like this duo and appreciate the fact that the ingredients are void of nasties. I have thin hair and I want volume. Should I even think about layers? 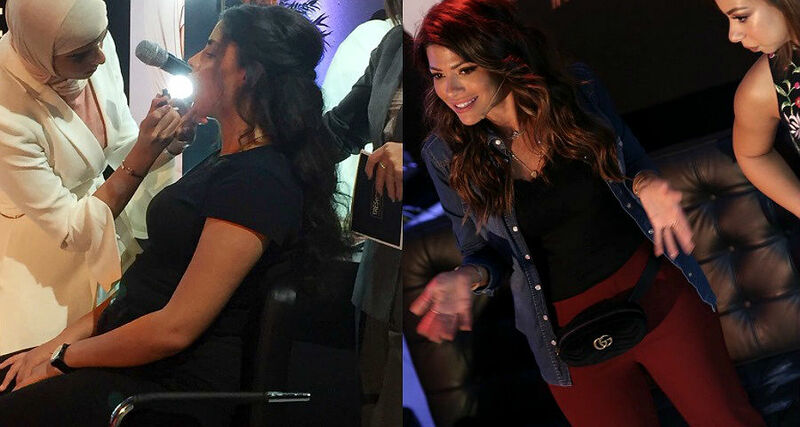 Georges defiantly stated that nobody should be afraid of layers, especially people with thin hair. You need to speak to your hairdresser and ensure that they understand you are eyeing volume. The hairdresser must maintain consistency in the length of the layers (especially for people with thin hair) as he navigates from top to bottom. What if I don't want layers but still want volume? Why do my eyes look droopy after applying false eyelashes as opposed to attaining a wide-eyed look? Sarah mentioned "Eyelashes are not one size fits all". That was a 'woah!' moment for me. She mentioned there are lashes that suit different eye shapes but people usually purchase lashes that look pretty. If you have smaller eyes, try using lashes that exhibit a more natural look as opposed to a thick fringe. I have difficulty putting on falsies. To combat this, either use individual lashes or cut the strip into three pieces and apply (while I haven't tried the former, I feel it will end up consuming more time). My falsies don't seem to sit right on my eyes. Curl your lashes prior to applying mascara to the false lashes. This will ensure that your own lashes and the falsies almost blend into one and another, creating the illusion of thicker/longer lashes. How do I get a flawless makeup application? The key is to always hydrate the skin. The final bit of the session was style tricks and tips hosted by Alanoud Badr, founder of Fozaza. What kind of texture on clothing is trending this season? Velvet and embroidery pieces are going to take over. What kind of blazers should I get for the winter season? The ones with a checkered print are a good start. What's the next best thing after a LBD? A jumpsuit. And if you want to create a second look, either wear a jumper over the jumpsuit so the whole outfit looks like two different pieces or wear a statement blazer. I would like to add more color to my wardrobe, however, I'm used to a darker palette. While an all-black outfit gives the illusion of a slimmer you, it isn't necessary to always be inclined towards that shade. Try different colors but ensure the cut and fall of your clothing suits your body type. Pretty cool, eh? Loved hearing these pieces of advice especially the fashion trends. What an interesting and inspirational #TRESMakeover session! Oh, Georges did mention there's a heat protectant spray from TRESemme that every girl should have on her dressing table. The spray should be applied right before styling the hair. Consider how much I use styling tools, I must get my hands on this spray, stat!